Holding down a job and being responsible for family caregiving can create stress on employees. Find out more here. Fatigue is a common complaint among the elderly population. 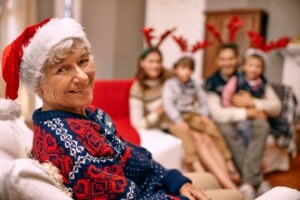 According to a study published in the Journal of Gerontology and conducted at Columbia University Medical Center, “almost 1 in 5 senior citizens report that they have so little energy that they spend most of the day sitting on the sofa.” Not only do caregivers, family and friends begin to think of it as a normal process of aging, but doctors and other home health care providers may as well. The truth is that there is often an underlying cause contributing to fatigue. Several possibilities exist including heart and kidney disease, lung disease, anemia, depression, social isolation and the side-effects of medications. Antibiotics. Several drugs prescribed to treat bacterial infections can cause fatigue. These include amoxicillin, azithromycin and levofloxacin. According to a report published in the Journal of the American Medical Association by the Centers for Disease Control and Prevention, “at least 30 percent of antibiotics prescribed in the United States are unnecessary.” While antibiotics can be life-saving drugs, be sure your parent’s doctor has confirmed a bacterial infection before administering. Blood pressure medications including beta blockers. A few common brand names include Prinivil, Zestril, Lasix, Lopressor and Tekturna. Fatigue may result due to the body’s reduced heart rate and depression of the central nervous system. These drugs may also deplete the body of vital nutrients. Statin Drugs. These medications are used to lower cholesterol levels. Common names include Lipitor, Crestor and Zocor. Statins are shown to inhibit muscle growth as well as the production of energy in cells. Tranquilizers or benzodiazepines. This medication is commonly used to treat anxiety, depression, insomnia and muscle spasms. Common brand names include Xanax, Valium and Ativan. 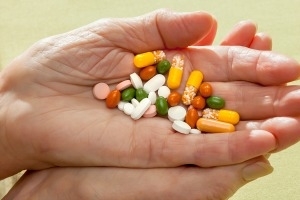 Increasing doses can promote fatigue and dependence, particularly among the elderly. Proton pump inhibitors. These drugs are used to treat acid reflux and digestive disorders. A common over-the-counter remedy is Prilosec. Unfortunately, these drugs may deplete magnesium ultimately leading to fatigue. A change in diet can often resolve this issue. Antidepressants. Common antidepressants include Prozac and Zoloft. These drugs inhibit the normal function of serotonin and norepinephrine, neurotransmitters in the brain. Make a list of all medications, including over-the-counter and natural supplements that your parent is taking. Make an appointment with their primary health care provider or pharmacist to discuss the medications including potential side-effects and interactions. 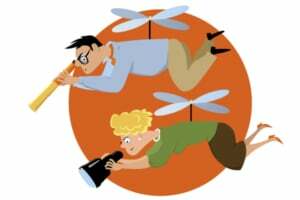 There are often actions that can be taken to limit potentially life-altering side-effects. These include changing the dose, the medication, or the time it is taken. It may also be possible to institute lifestyle changes and use alternative therapies in place of some medications. As the family caregiver, you are your parent’s advocate. Knowing you have done all that can be done to ensure productive and happy years as they age will provide peace of mind for both you and your parent. If you or an aging loved one are considering Home Care Services in Plantation FL to provide companionship, compassion and motivation, please contact the caring staff at Responsive Home Care. Call today 954-486-6440. The bones become increasingly brittle as seniors age. 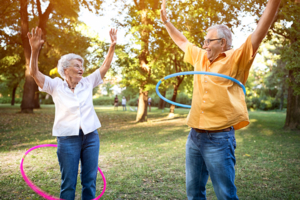 Weakened bones occur for a number of reasons, one being the fact that many older adults lack the amount of calcium and vitamin D their bodies need to keep their bones healthy. 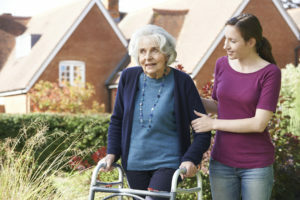 If your loved one lived by themselves, they may need help and encouragement from caregivers or home care providers in order to make healthy choices for their body. Vitamin D helps the bones absorb calcium in order to keep them healthy and strong. Adults between the ages of 19 and 70 should receive 600 international units per day, while adults over the age of 71 should have about 800 international units. Vitamin D can be found in egg yolks, fortified cereals and milk, tuna, sardines, and sunlight. Getting plenty of calcium each day will protect the body from osteoporosis and other disease that could affect the bone density. 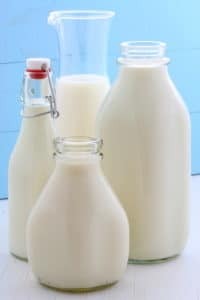 Adults between the ages of 19 and 70 should have about 1,000 milligrams of calcium a day, while adults over the age of 71 should have 1,200 milligrams. Calcium can be found in dairy products, almonds, kale, broccoli, and soy products. By getting plenty of exercise per day, the bones will become stronger and will reduce the risk of bone loss. Weight bearing exercises are low-impact exercises that will keep the elder healthy without over exerting themselves. Walking, climbing stairs, jogging, and walking will help keep their bones strong. Alcohol and tobacco use can actually cause the process of losing bone mass to speed up. To prevent this from happening, avoid using these substances. If they must drink, men should have no more this two drinks and women should only have one drink. Has your loved one been hospitalized for a hip fracture or broken bone? If so, they could be suffering from bone loss. Talk to their doctor to get tips in how to salvage their bone density and strengthen it for a healthy future. If your loved one is overweight, they could be putting more stress on their bones and joints. Encourage your loved one to eat a healthy diet, exercise, and get plenty of rest in order to lose. Any extra weight their body is holding on to. Bone health becomes even more important with age. Help your loved one keep their bones healthy and strong for years to come by following these tips. If you or an aging loved one are considering Home Care Services in Deerfield FL to provide companionship, compassion and motivation, please contact the caring staff at Responsive Home Care. Call today 954-486-6440.